I've always enjoyed cooling pads on my face but then I saw that facial icing is a thing, I wanted to give it a try! 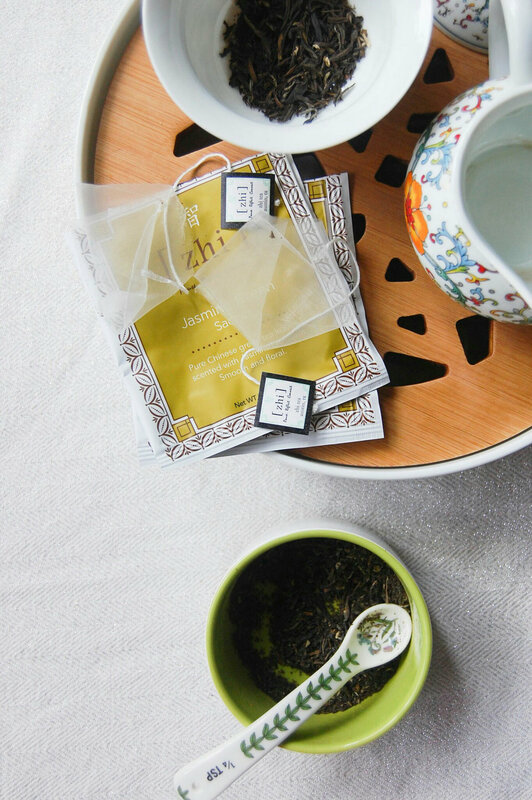 I got this lovely herbal tea in my Sipsby box and knew it would be a perfect base! This Herbal Infusion called Golden Joy by Flower Girl Apothecarie has chamomile, Lemon Balm and rosehips. Chamomile is said to have anti-inflammatory and antiseptic properties. Lemon Balm is said to help calm, heal, sooth and tighten skin. Rose Hips are said to aid in the regeneration of skin. I also decided to add a few other ingredients. Manuka honey is also supposed to have great skin benefits like helping with inflammation and healing skin. I often just smear manuka honey on red areas of my face and it's very helpful! Lavender is something that I like to include mostly for the lovely aroma but it again, has great anti-inflammatory properties as well! I've done this before and really liked the larger ice cubes so I make the mixture in one container, freeze it then break up the bigger block into smaller ones. When I use these, they melt fast so it's great to hold the ice in a napkin or cloth. The cold really helps cool your face and wakes you up so I enjoy using these in the morning. I've read that facial icing not only can help with inflammation and skin tightening but can also possibly help decrease the size of your pores which is awesome! One of my favorite bloggers recently did a lemon cake with these gorgeous flowers on top. This cake came to mind when I got my new Sipsby box and was debating on what to make. I haven't made a cake in a while and I've been craving it! 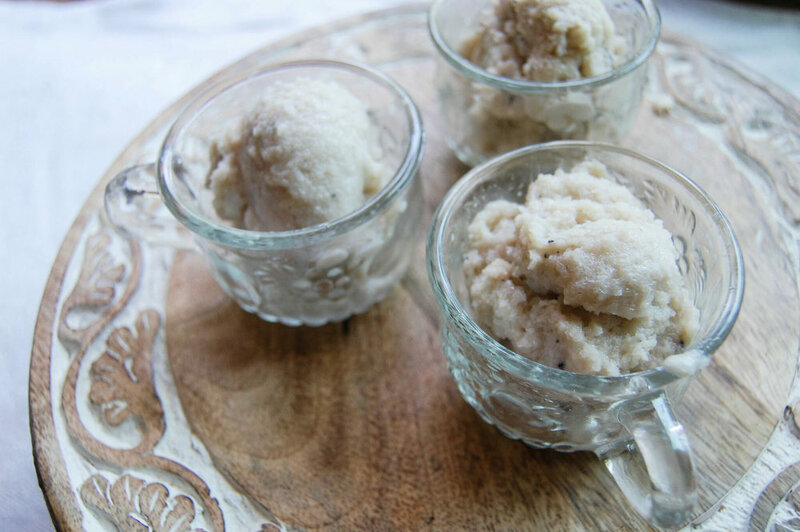 I was really excited about this recipe because Jasmine is such a delicate flavor and I think it would go well in the cake and the aroma would just be a lovely addition to it as well. I brewed the jasmine a little longer than suggested so that the flavor and aroma would be more potent in the cake since there will only be two tablespoons of it. I was also excited to add the crushed jasmine in because this is a fun way to add some texture. You should make sure that the leaves are thoroughly crushed so that it's almost like powder! 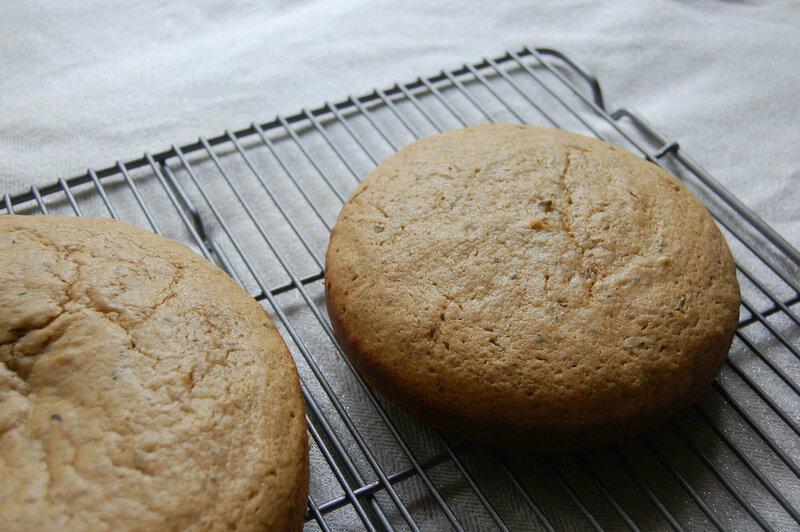 The cakes ended up being very fluffy and delicious! I made two different shapes because I let a family member borrow one of my cake pans so I only had these two. It turned out well! You may have noticed that I didn't include a frosting recipe in this post and here's why. If you look at the original recipe linked above she uses an elderberry buttercream type frosting. I thought it would be good with the jasmine and it wasn't bad but it wasn't quite right. 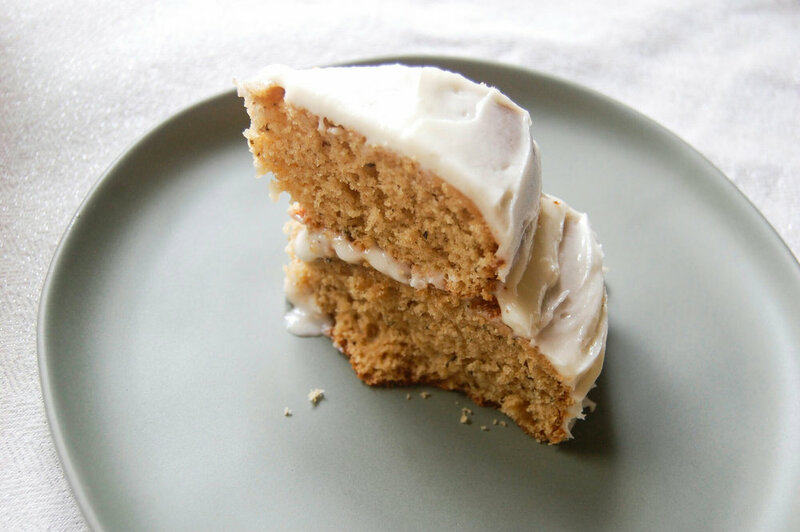 I would suggest creating a light flavored buttercream like maybe honey flavored to go with the jasmine cake. This cake + tea was SO GOOD. Such a wonderful combination to have after dinner as a little treat!. 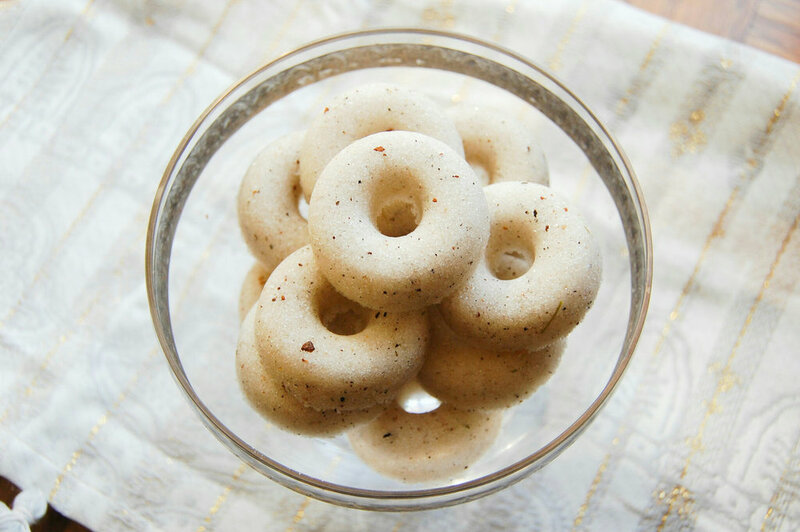 Snickerdoodles are one of my favorite cookies and they are also a great cookie to infuse tea into! 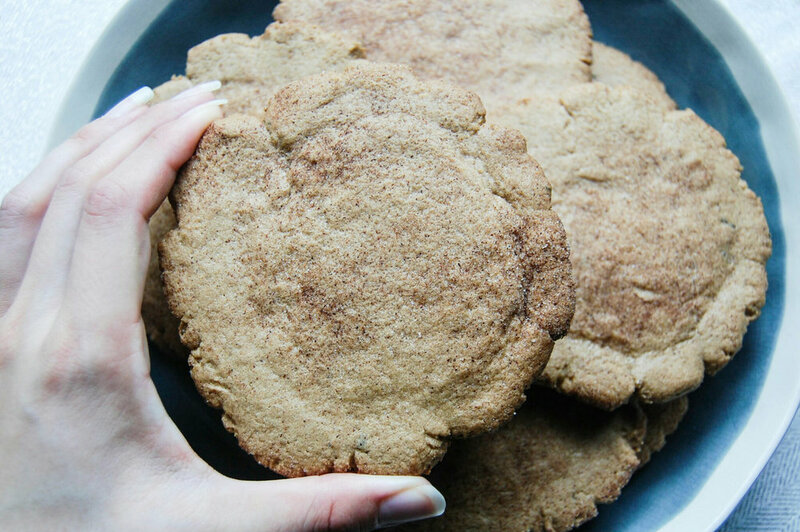 I've experimented before with making Chai Snickerdoodles and they were SO GOOD. 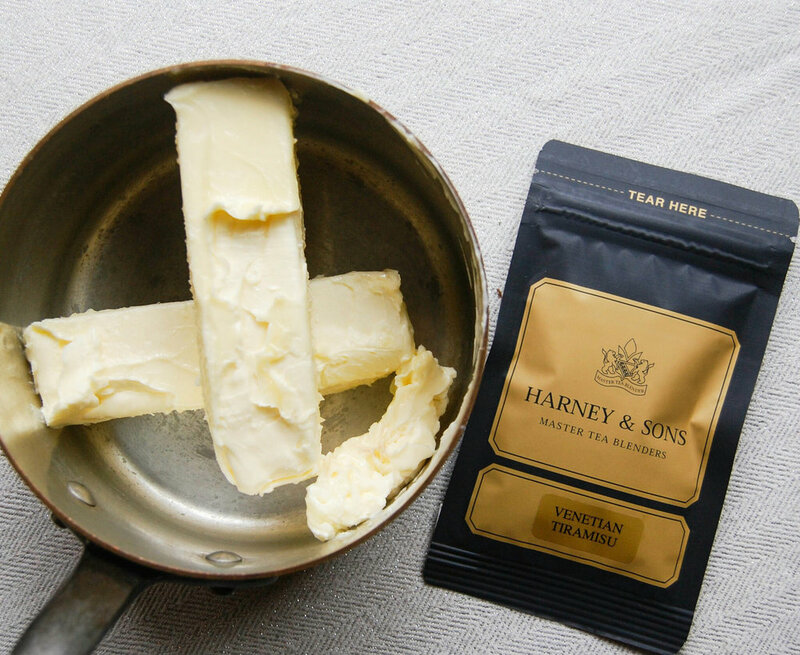 One of the teas I got in my sipsby box this month was a Venetian Tiramisu by Harney & Sons. This blend has a whole lot of goodness in it! 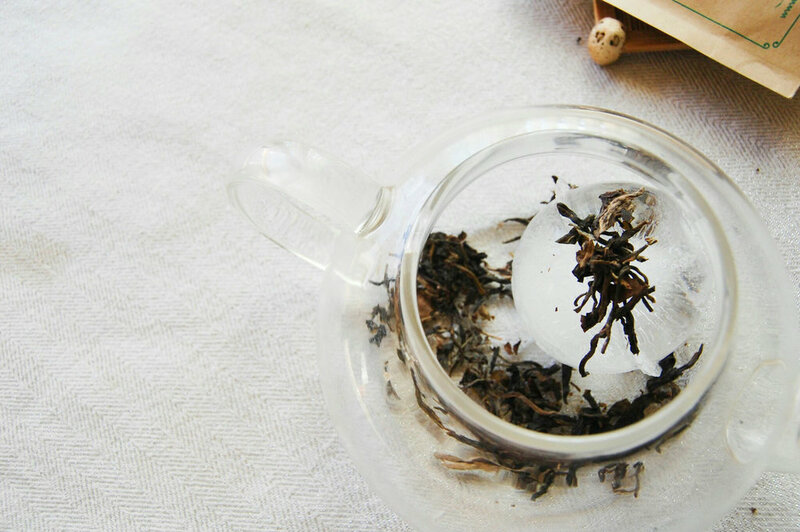 The blend combines white tea, hojicha, cocoa, vanilla and brandy flavor. When I read the ingredients, I knew right away this would be a great tea for snickerdodles! The method I love most for tea infusion in cookies is with the butter. I fee like when the butter is infused, you get the flavor coming through better than if you infuse milk or put the tea straight in the dough. When making snickerdoodles or any cookies, I love using an ice cream scoop for size and also so that it makes less of a mess! One of the main parts of the snickerdoodle is rolling the dough in cinnamon sugar! I also added a tiny bit of nutmeg and ground cloves the cinnamon and sugar because all those flavors pair so wonderfully! I wanted to show this picture to demonstrate different ways of baking your cookie. Once you have the rolled ball on your cookie sheet, It will have a nice finished look if you flatten them a bit. I did different variations of flattening to see the difference. The top cookie is flattened less than the bottom. The top cookie came out softer than the bottom but the bottom cookie looks a bit prettier because the flattened shape almost looks a bit like a cloud. Even though the more flattened cookie came out really pretty (below), I'm not a fan of crunchy cookies! I love soft the best, BUT these cookies were perfect for dunking in my tea which is something I also love to do. Matcha Mint Julep + Matcha Giveaway! Mondays can be kinda lame right???! Don't worry! 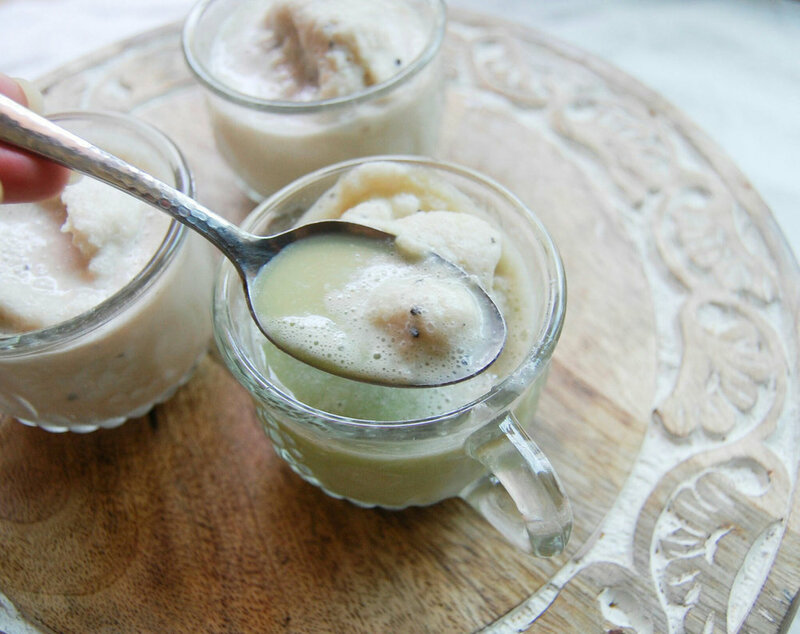 I have a fun drink recipe and a giveaway for you! I used Meiko Matcha from Matchaeologist to create a Matcha Mint Julep! Enter the giveaway at the bottom of my post! 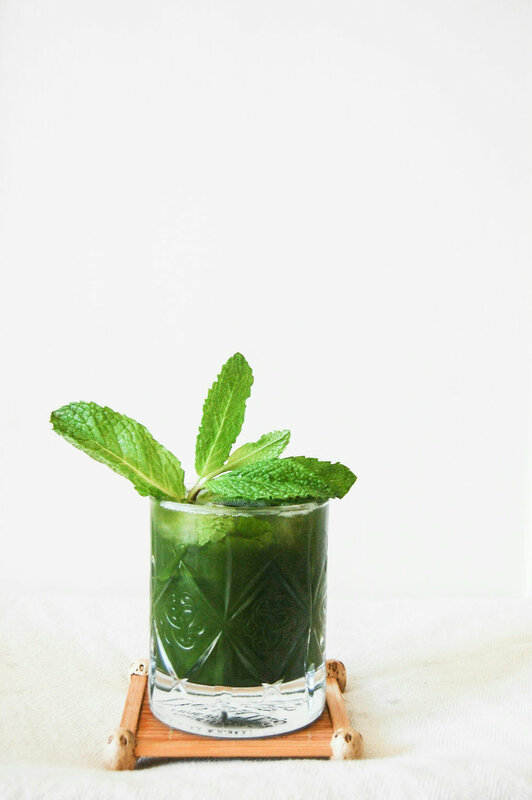 For this recipe I used crushed ice, bulleit bourbon, mint sprigs, brown sugar and matcha! Place in your glass several mint sprigs, brown sugar to taste and one shot of bourbon. Muddle all these ingredients until well mixed. Add crushed ice on top of this mixture. For the matcha, you can either brew it hot and let it cool down or brew with cool water. For a cocktail I prefer cool water. Make sure your matcha is sifted as it will integrate better into the water. 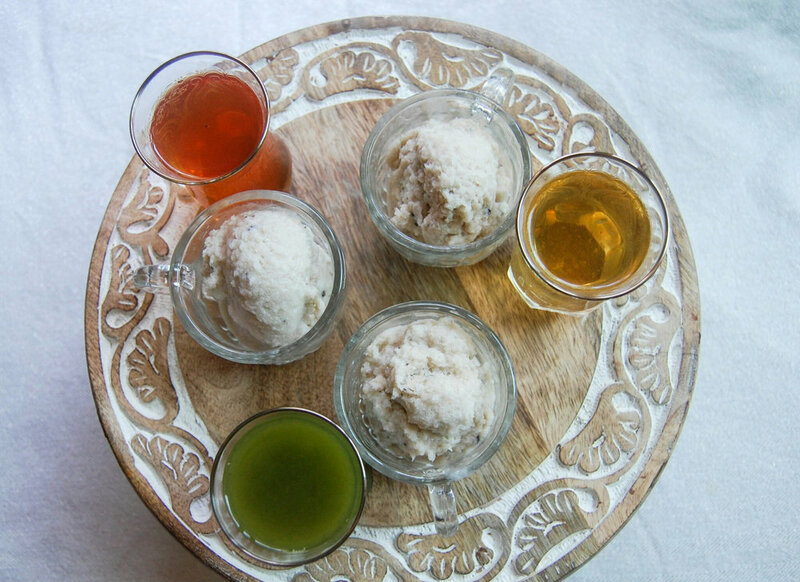 Using the chashaku, sift 2 scoops of matcha into a glass or tea pot. Pour a little bit of cool water over it, enough to make a paste when whisked. Once you have a paste like consistency, pour a little more water and whisk until combined. You want the matcha to be strong in the drink so I suggest not using more than 1/4 cup -1/2 cup depending on how many drinks you're making. Pour water little by little and whisk and stop when mixture is smooth. Add matcha to the drink, stir and enjoy! 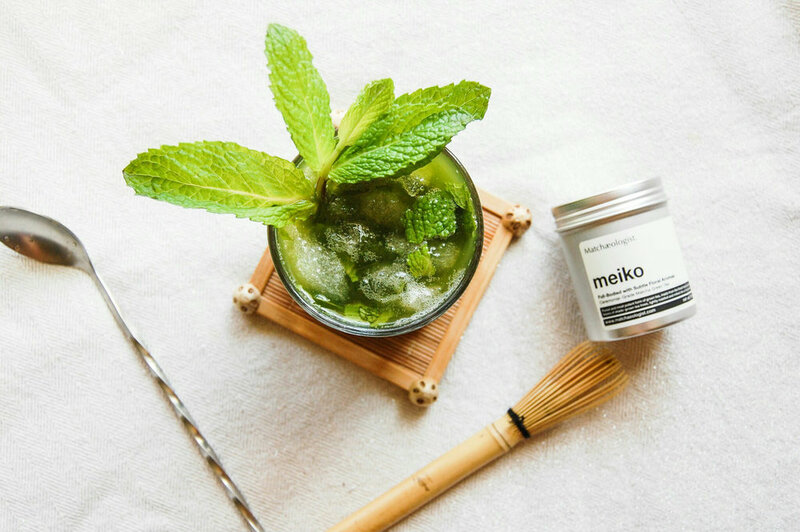 You can win a can of meiko matcha, just enter below! 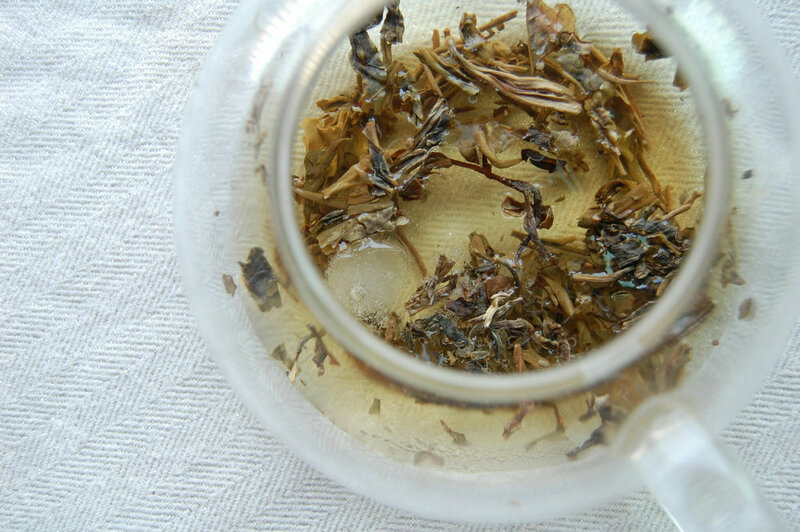 You may or may not be surprised but I infused my fav ceylon with my fav, bourbon! I then made an old fashioned because I needed a fancy drink that day! 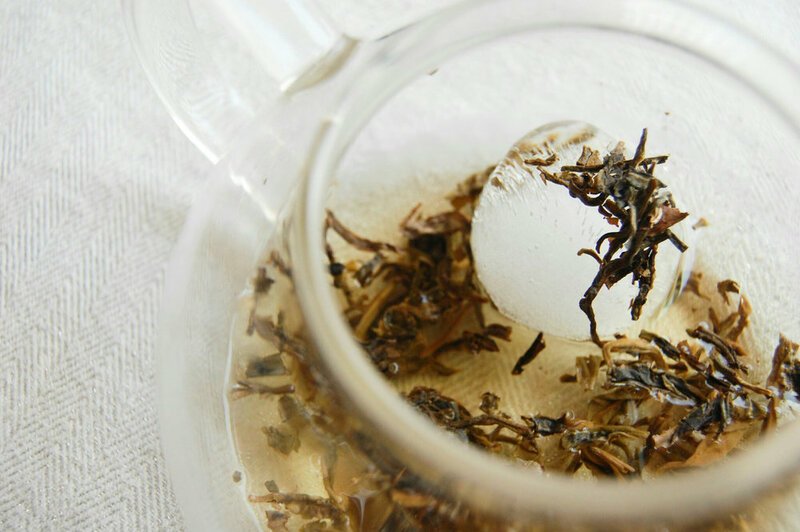 Let me back up, the idea had always intrigued me but I was given the extra push by my friend Lu Ann from The Tea Cup Of Life who infused oolong into her wine! I saw it and thought how cool it was but how I didn't have wine nor did I really like wine. 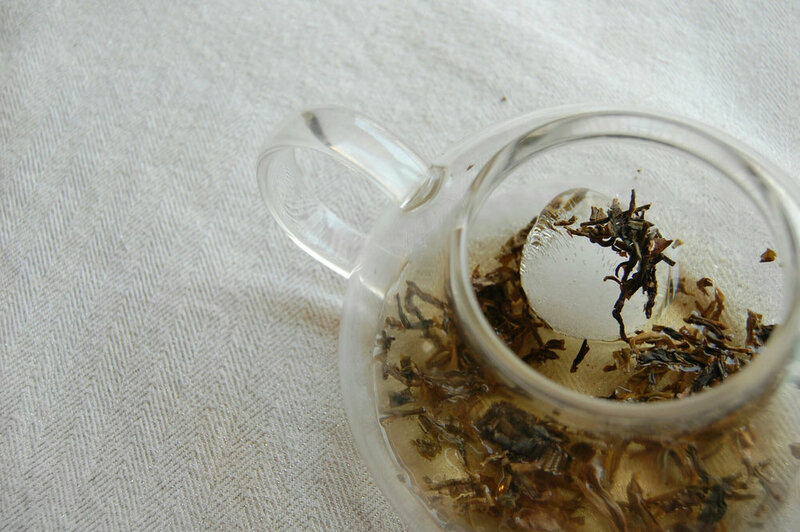 I decided that the obvious choice was bourbon and that why not infuse my everyday tea with it, ceylon! Something important to note, aromas are so important when drinking and the fact that my ceylon tea has bergamot oil in it, is a game changer! I wanted to wake up the tea leaves before infusing the bourbon so I ran warm (not hot) water over them. 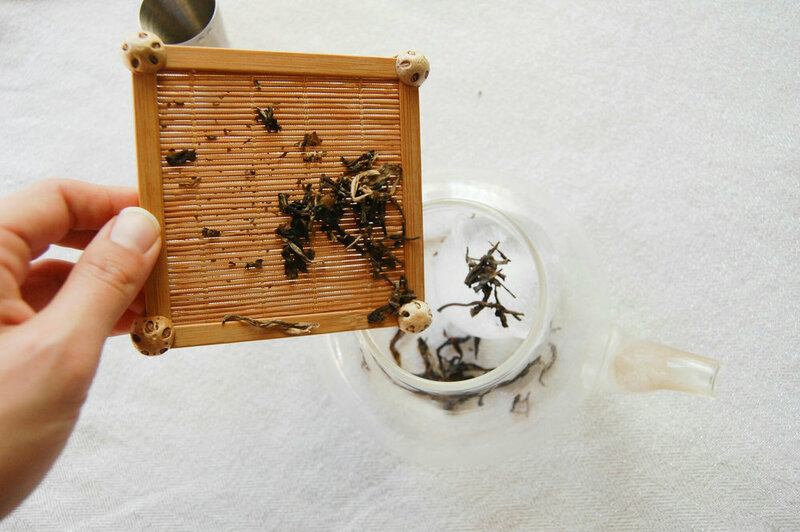 You should be able to see just like with another black tea especially, some of the warm liquid showing color of the leaves. If the water is coming out of your strainer clear, turn up the heat of the water a little bit. Next I simply put about a tablespoon of the leaves into the pot and covered it with bourbon. For a drink like Bourbon, I didn't use a lot of alcohol because it's not like wine where you can fill your glass to the top and drink it. I simply poured enough bourbon to cover the leaves. This also proves for a very strong infusion so if you want it less potent, decrease the amount of tea leaves. I left the leaves and bourbon to mingle all night and in the morning when I took a small sip, BAM ceylon flavored bourbon. I think that they two flavors paired well with each other and that's why it's so successful. I also think a puer would be ideal for a darker liquor like bourbon. I had this strong infused bourbon and thought that it was perfect for an old fashioned. Throw some bitters and brown sugar in a glass then add the infusion! I decided to garnish it with a date because the normal orange rind would interfere with the flavors. 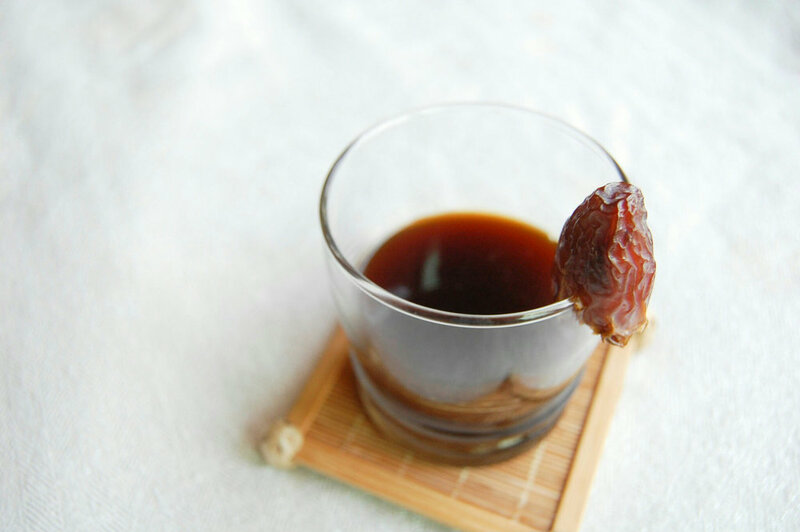 Taking nibbles of the date between sips was also delicious! I'm a hot tea drinker through and through. Around DC, summer can be brutal. Oh, it's 90 degrees outside and with humidity making it 110 degrees? Yeah, still sipping on my hot tea. In the summer the heating up of my body by the tea actually turns into a cooling sensation and It feels nice. I know that Iced tea is a big thing but I'm truly not the biggest fan! I still enjoy iced tea of course, but I will always choose hot over iced. I always strive to bring on content that is wanted though and I know so many people love iced tea! I wanted to try a new way of brewing so I started digging. 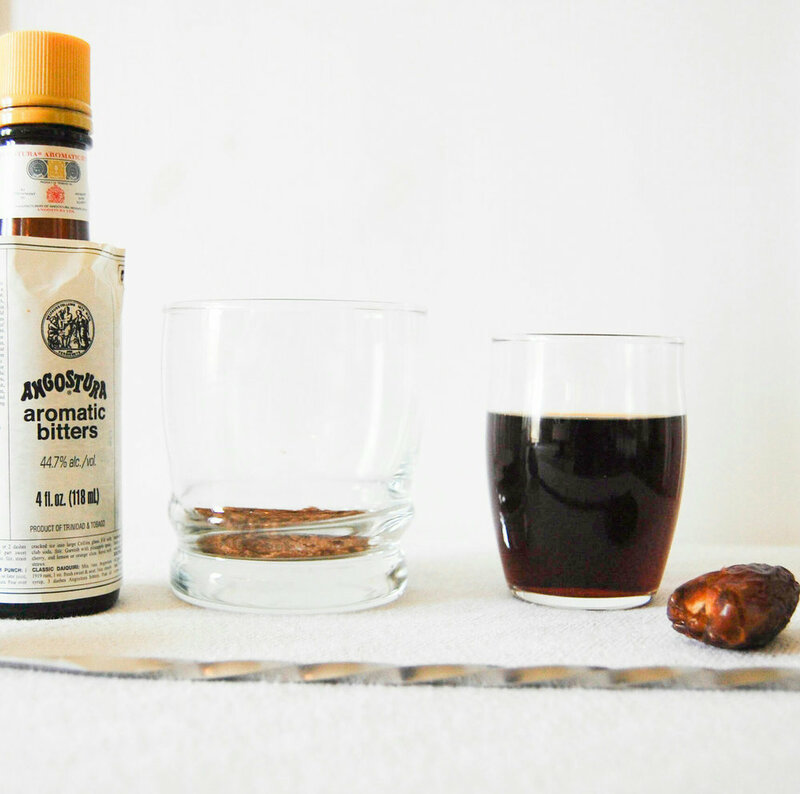 I found an article on Bon Appetit that mentions kouridashi, a Japanese ice brew method. It was difficult to find other sources on this, mostly search items brought up Japanese ice brew coffee. I decided to follow the general directions in the article and see if I liked the result. I decided to use the puer from Yunnan Sourcing that came in my sipsby box. The article mentioned "specialty" teas and I know they meant green teas but I wanted to experiment with puer. Essentially, instead of using water you allow the tea to brew as the ice melts. I used one of those large ice cubes that are often used to make drinks, I happened to have a round mold but a square would be even better ! Pour about a tablespoon of your leaves into the container on the ice an it's ok to let it fall around the ice. 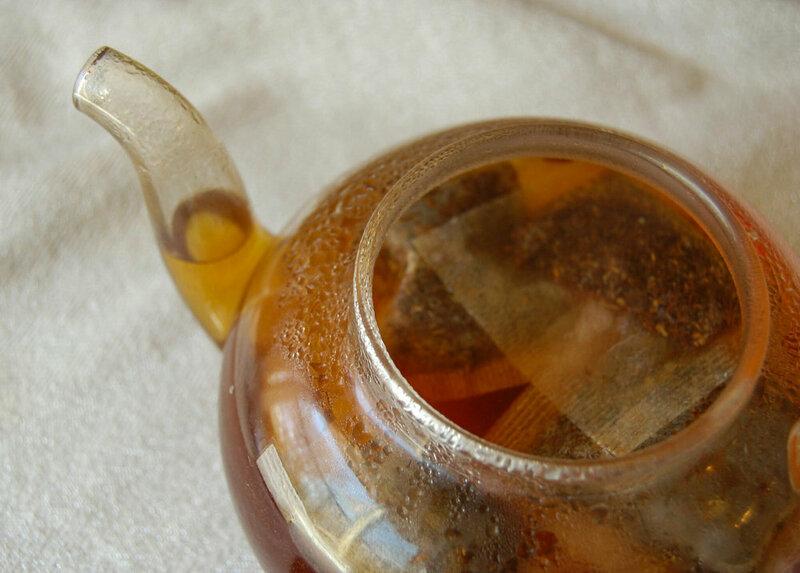 Take a little bit of water and pour it into the tea pot to start the melting! You could use a few drips for a stronger brew or use up to 1.4 cup of water. I used room temperature water. SO....this is really cool! First, I didn't think that the tea would get as dark as it did! I generally prefer the ripe puers because they often have darker steeps but for a raw puer, this color is pretty on the mark! I didn't keep track of time strictly but this definitely took a few hours. I think you could probably speed up the process by adding more water at the start but then your tea wouldn't be as strong. The flavor was very fresh! It was refreshing and got the flavor of the tea really well. In terms of practicality, I wouldn't use this method often or if I was short on time but it was definitely a fun experiement! Together for H2OPE Water Challenge! I have the pleasure of being a Together for H2ope ambassador to bring awareness around clean water access! I want to share with you what the program is about and what I will be doing to raise awareness. I'll be doing a small water challenge and because it's very simple and easy I hope that you'll join me! First, check out what Numi Foundation is doing with their Together for H2ope program ! Here is a video about their work in Madascar, they are also working with communities in India and soon in South Africa as well! In a normal shower, about 2 gallons is used every minute. So even a "quick" 10 minute shower is using about 20 gallons. Older toilets can use 3.5 - 7 gallons with every flush. Newer toilets are being regulated to use less than 2 gallons per flush. Think about this in terms of how many times you use the restroom in a day. Most high efficiency washers use 15-30 gallons per cycle. In relation to this 7 gallons, I want to track how much water I use in my daily tea brewing (2-3 times) and how much water I drink. These are two things I find essential to my life and want to see how much water I would have left to wash clothes, use the restroom, shower, cook etc. Will you join me in tracking your water for tea and drinking?! I would love to read you results! I will post mine here and on instagram. Please feel free to share your results in a comment on this post, email me hello@teathoughts.com or if you share on instagram make sure to share to tag me @teathoughts and use #4H2OPE ! Numi Organic Tea We strive to foster a healthy, thriving global community while bringing you the purest, best-tasting organic tea. In partnership with Numi Foundation, Numi Inc. P.B.C. helps fund and administer Together for H 2 OPE programs around the world. Brew Concentrate goes to Together for H 2 OPE. apparel and accessories on the planet. product you purchase provides one week of clean water to someone in need. of clean water to children in need. those who lack basic access to clean water. Have you ever seen fancy sugar cubes?! Different flavors and shapes? I've been sent some and I've also seen them sold at a bunch of places. 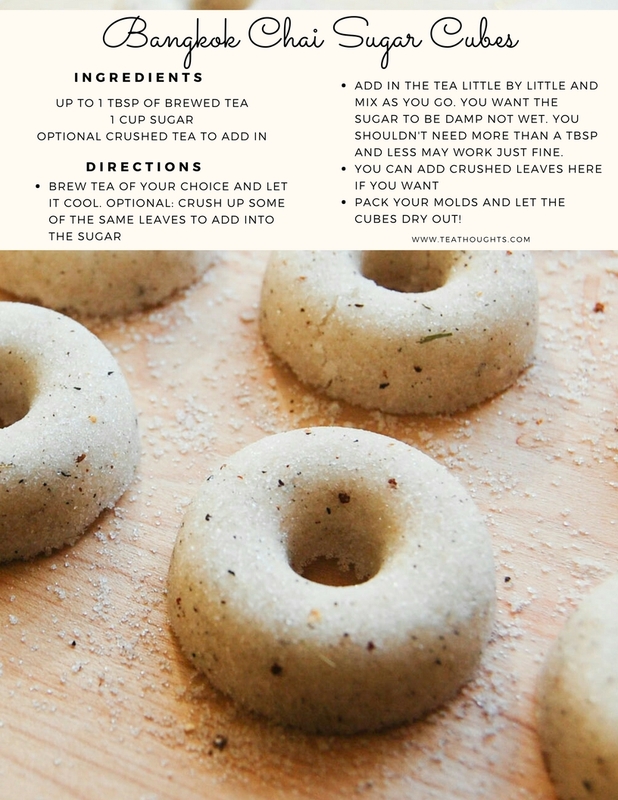 It's a simple way to make tea time fancier! After researching how they're made, I decided that the Bangkok chai I got in my sipsby box would be perfect because it's not your typical chai blend! This chai blend from Kleff tea has Black tea, cinnamon bark, ginger root, cardamom pods, lemon grass, dried coconut in it! 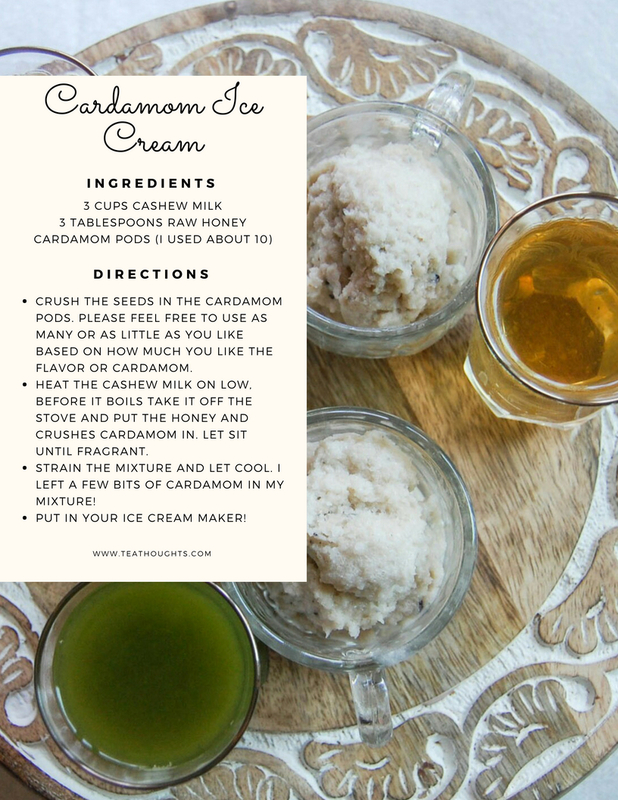 In my recipe I mention using up to one tablespoon of tea. You may need less than this but definitely not more than this! I didn't actually measure the amount I used completely but it wasn't a lot. What I did was added a tiny amount of tea then I would mix, mix, mix and see how much more I needed. I read somewhere that it should be like damp sand, not wet sand and I think that is a great way to think about it! Probably the most important note, MAKE SURE YOUR TEA IS COOL. If your tea is hot, it will melt the sugar and all you will have is sweetened tea! I crushed up some of the chai and put it in the sugar as well to give it a fun look but this is not required! 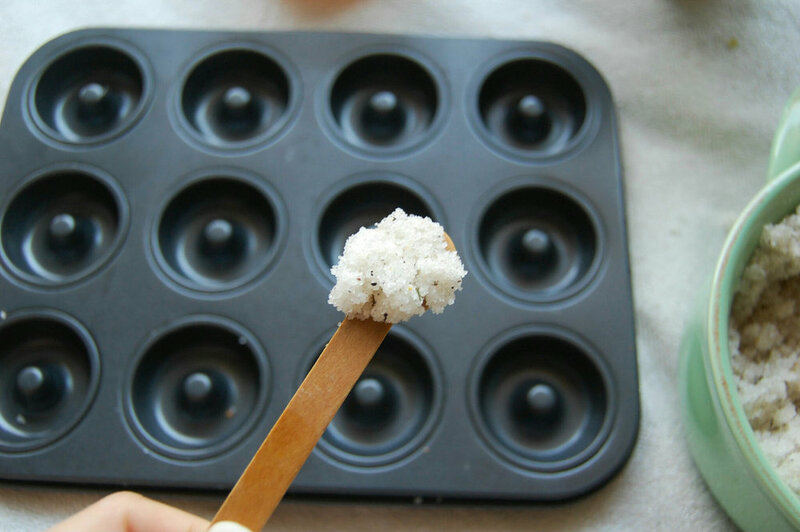 I used this mini donut tray that I have for baking but you can use anything! These are quite large for a sugar cube so I would suggest finding a small candy mold if you can. The best tool that I found for packing these is my hand! Get your fingers a little sugary so that you can really put pressure on the sugar and pack it in! I put my mold near my heater to speed up the drying process but you don't have to! Smaller molds will definitely be ready quicker.